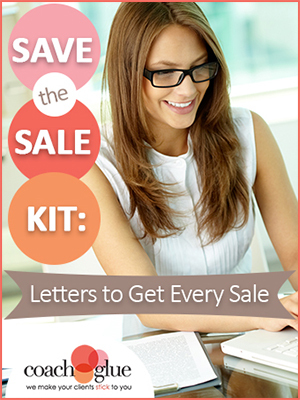 Want to easily save every sale? 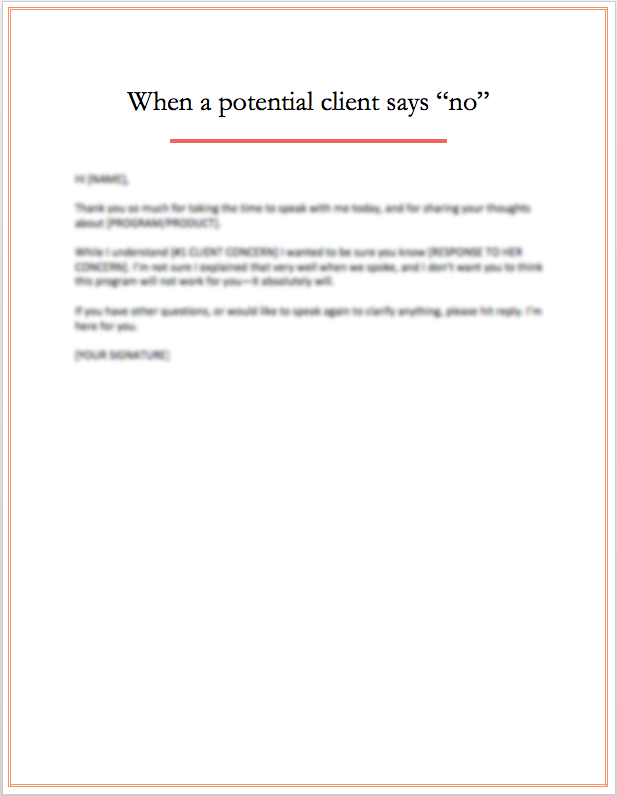 Like most coaches, there will be times in your business when a potential client isn’t an immediate “yes!” and you’ll need to follow up in order to save the sale. As usual, we make it super easy for you to do with our done-for-you letters/emails that you can use to do all of these things! You will receive the following 10 documents in .doc version so that you can add your logo and customize them for your own use in working with your clients. 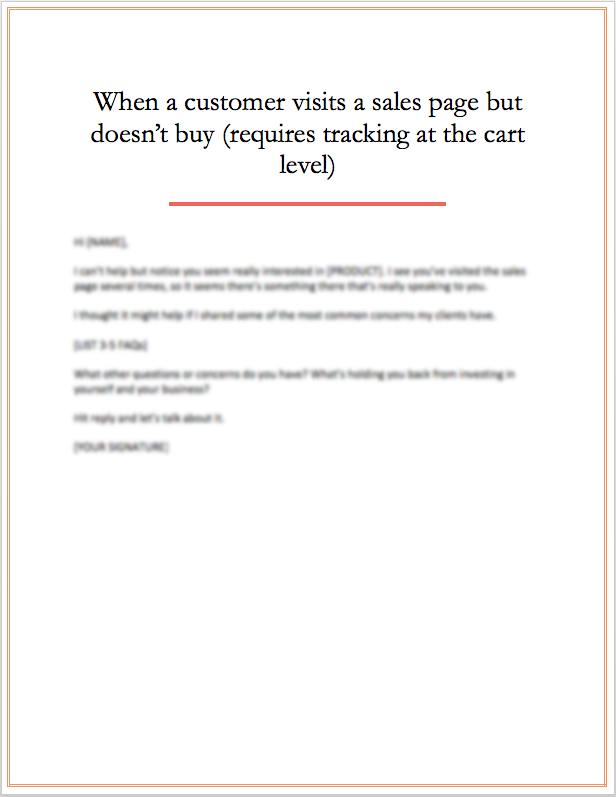 If a client visits your sales page but does not buy, this email will help answer questions and remove purchasing barriers. 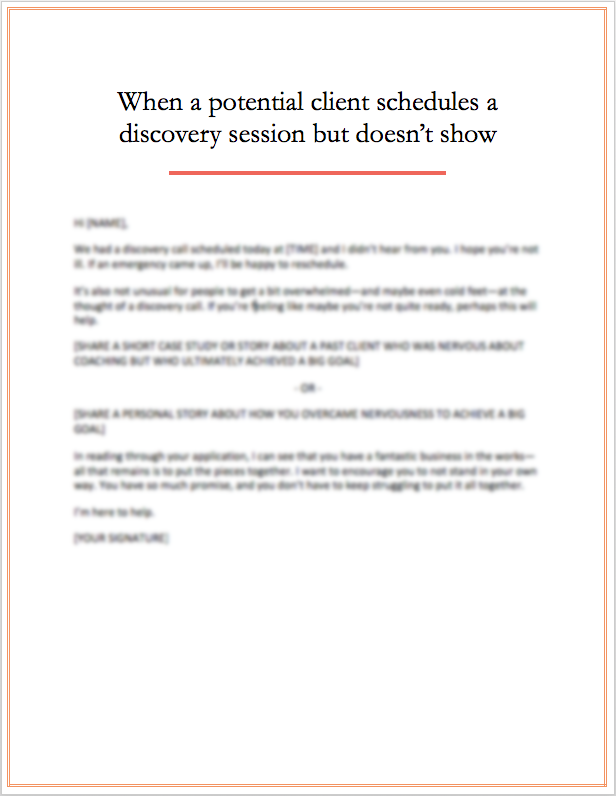 Send this email to respond to your client’s concerns regarding your programs or services to overcome their objections and get them excited to work with you. 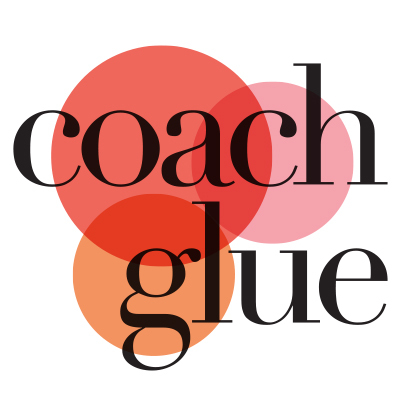 This email is perfect for reaching out to a client you’ve coached in the past, and would love to work with again. They are waiting for the opportunity. With this letter, you’ll give it to them. 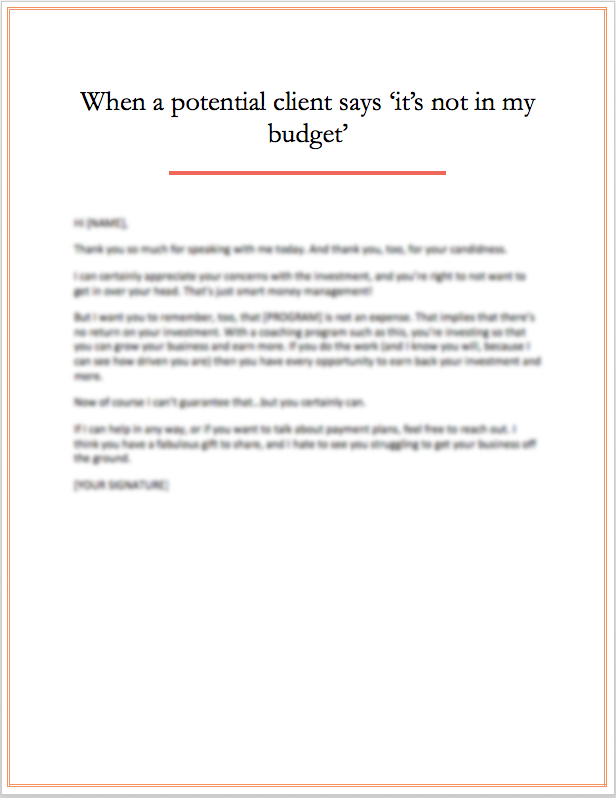 This email answers the money concerns your potential clients might have in a thoughtful, gentle manner. This email offers a gentle reminder of her goals, plus encouragement to keep moving forward. 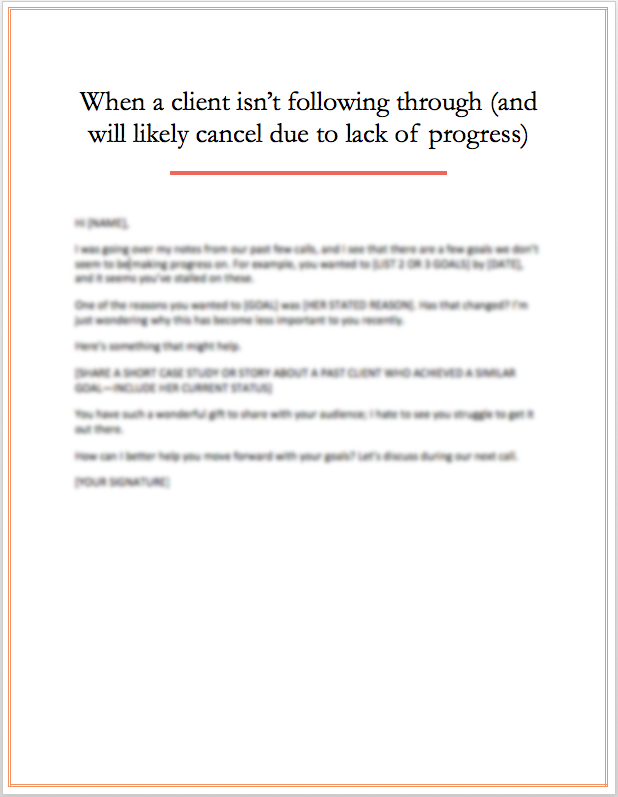 This letter can help to ensure your client’s success so they continue to work with you. Frequently a no-show is just based in fear. 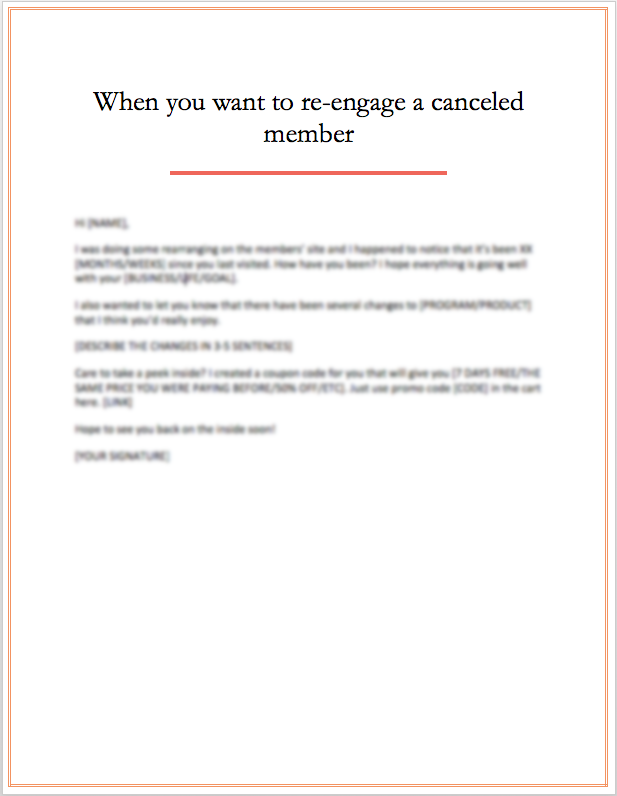 Send this email to help potential clients overcome their concerns while offering encouragement and information on how you can help. Send this email to wish them well with their new coach, and to remind them of additional training/programs you offer that may be a good fit down the road. They’ll remember that you were a class act. 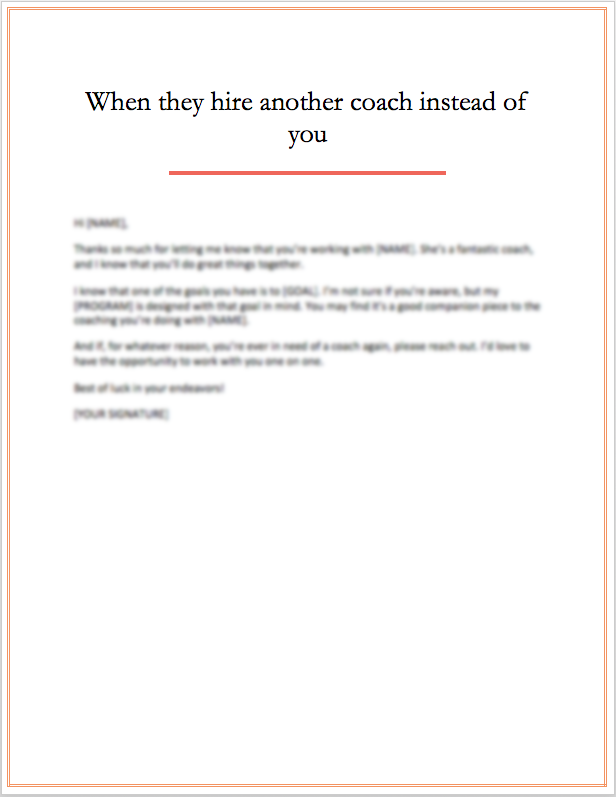 Frequently, when their other coaching relationship ends, they’ll come back and be ready to sign on the dotted line saying “I should have chosen you instead.” While we don’t wish anyone to waste money, we definitely want them to end up with the RIGHT coach (you) in the end. 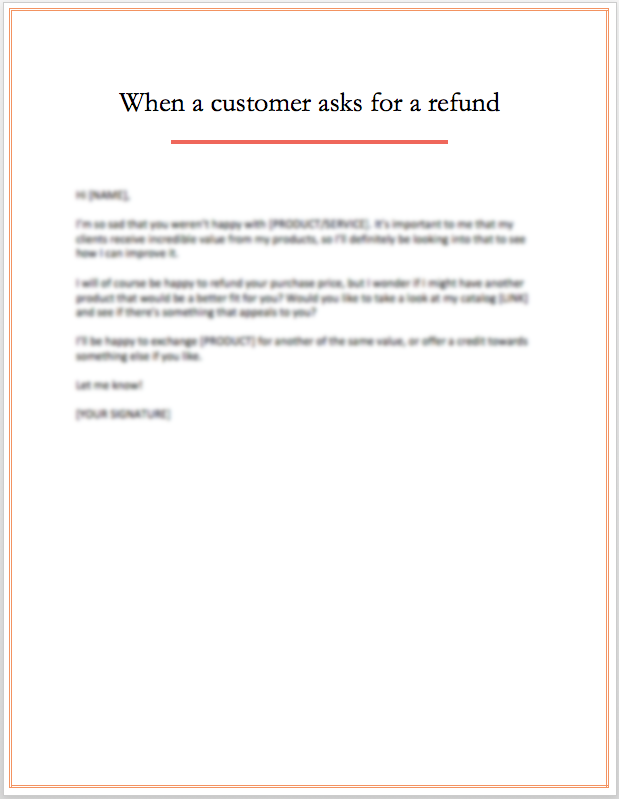 Send this email to encourage feedback from your customer, and to offer an exchange in lieu of a refund. You’ll keep the money in your account AND have a happy customer for life. 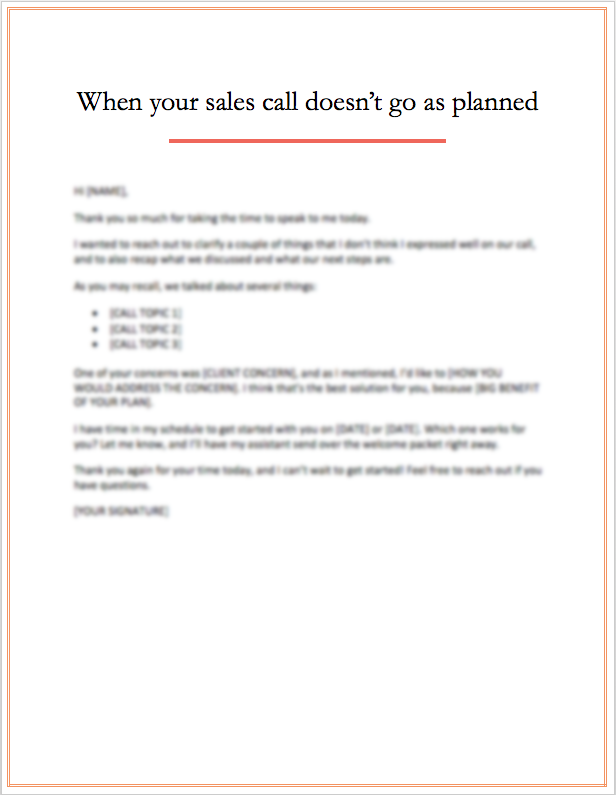 Send this email when you feel a sales or discovery call was awkward or non-productive. 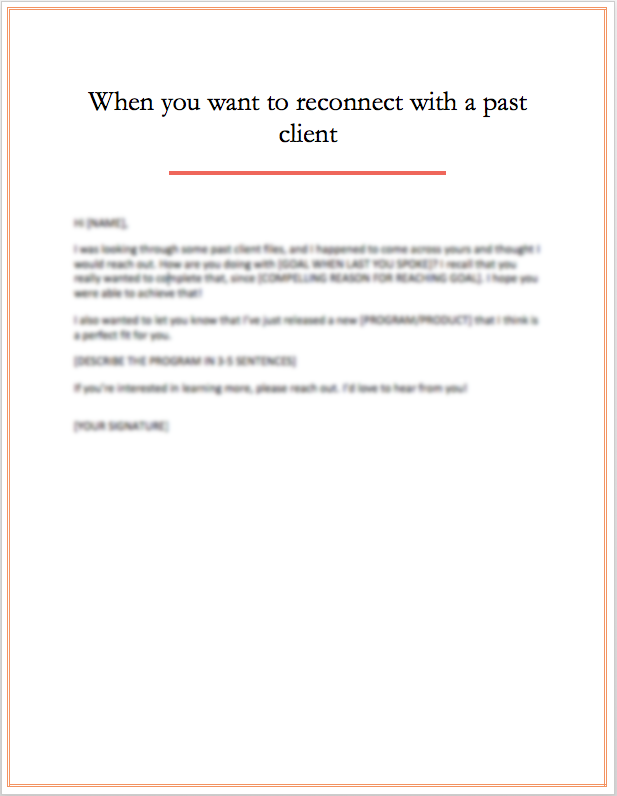 This is a graceful way to help your client to come back and work with you, even if they feel embarrassed.